Although there currently isn’t a lot of demand for them in Perth, one of our favourite sheds is the aircraft hangar. While reading one blog post doesn’t replace due diligence, we feel that it’s a great place to start. 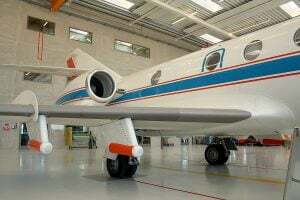 An aircraft hangar is used primarily to protect aircraft from thieves, vandals, and other outside elements, such as wind, rain, sun, and flying debris. A solid aircraft hangar can keep your aircraft in great shape for a long time, and save you thousands of dollars on unnecessary maintenance. Many people like to rent airplane hangars, but it is always better to buy them if at all possible. Aircraft hangars often appreciate in value as much as 10% to 15% per year. In addition, when you are the owner of the hangar, you have the freedom to design, alter, and customise it however you wish. You may be wondering how to determine the right size for your aircraft hangar. Obviously, the size of the aircraft that will inhabit the hangar will be the main determining factor. We recommend not only having enough space for your aircraft, but also leaving extra space in your hangar. Another question prospective buyers often ask themselves is “How much money should I spend on an aircraft hangar?” While this question is impossible to answer due to the fact that every situation is different, we can definitely recommend that you go to a company such as Action Sheds Australia, where we specialise in safe, strong, steel buildings at a very reasonable price. We believe that the most important factor to consider when buying an aircraft hangar is the fact that you spent a lot of money on your aircraft, and you should want an aircraft hangar that you can trust to protect your investment. Action Sheds Australia is accredited by ShedSafe. This means that we are experts at making sure that your shed is sturdy enough to protect your aircraft. Obviously, it is wise to find these things out for yourself, but we’re glad that we were able to give you some of this basic information today. If you would like to find out more, call us at 1300 778 628 today, or use the Contact Us page.